a simple set and forget marketing platform powered by your WIFI, this platform will hyper target your customers with relevant marketing content based on their social media activities. We also provide you with a marketing manager and powerful data analytics from social media sites that helps you to segment customers and streamline customer engagement to grow your club memberships and repeat visitors. Engage with customers on familiar social media platforms and automated marketing efforts! Enterprises are using WiFi to connect staff and devices to corporate networks. Retailers using it for POS and tracking of stock movements in warehouses. Public “Free WiFi” solutions allow the public to browse the Internet while out and about. Hospitals and care facilities use WiFi for mission-critical patient care and telecommunications requirements. Schools are using WiFi to administer exams and deliver learning material. When did WiFi become so mission-critical, what would happen if you unplugged your WiFi for a day, would you survive? If you have ever setup WiFi on your phone or at home you would have seen acronyms like WEP, WPA and WPA2, these are wireless security standards (protocols) designed to add security to WiFi with features like authentication and encryption. WEP was released in 1997 and was quickly discovered to have major security weaknesses. WPA was released in 2003 to replace WEP. WPA2 was released in 2004 and is the standard we still use today. Over the years there has been several extensions programs aimed at bolstering WPA2 security such as TLS, TTLS, SIM etc – however the fragmentation this has caused is a major problem and has created mismatching security and interoperability issues within the WiFi landscape. After 14 years of WPA2 its time for a major upgrade, WPA2 has served us well even with its flaws, which could be addressed with the new WPA3 standard. 1. Device Provisioning Protocol (DPP) is an exciting development for provisioning Internet of Things (IoT) devices. This will make it easier to on-board devices that don’t have rich user interfaces such as screens or webapps and allows on-boarding of devices via a Smartphone app used by an authenticated user. 2. Opportunistic Wireless Encryption (OWE) is encryption for open wireless networks that prevents eavesdropping attacks by encrypting the traffic between the AP and the client, before any authentication occurs. Although a welcome enhancement it still doesn’t address threats like Evil Twins and Honeypots. 3. Suite B WPA3 adopts stronger cryptographic algorithms defined by the US Government. While mainly government and banking deployments are most interest in this feature, once available all wireless deployments will benefit from these capabilities. 4. Simultaneous Authentication of Equals (SAE) is designed for clients that use insecure passwords, SAE adds another tenet of security that mitigates dictionary attacks by introducing a secure handshake. a. Orthogonal Frequency-Division Multiple Access (OFDMA) enhancements by multiplexing users it offers a 4x higher throughput over Wave-2 802.11ac in high density deployments. b. Multi-User Multiple Input Multiple Output (MU-MIMO) enhancements sees a single multi-spatial stream Access Point simultaneously transmit to multiple clients with fewer spatial streams. 2. Enhanced Link Efficiency of Quadrature Amplitude Modulation (QAM) allows for more data to be packed and transmitted simultaneously. 3. Improved robustness in outdoor deployments. 4. Improved spectrum reuse through spiral reuse. What does all this mean for your WiFi deployment? You have a little time to digest and plan your upgrades, the upgrade will hit the market in late 2019 with manufactures already investigate upgrade pathways, most of the high-end manufactures such as Cisco Meraki have already confirmed their 802.11ac Wave2 hardware will support WPA3 via a firmware upgrade. What if your planning to purchase new WiFi equipment in the next 12 months? Before you commit to WiFi equipment for the next 3-5 years, I’d suggest double checking the manufacture is going to support WPA3 in the future via a software/firmware update, not all manufactures will upgrade existing equipment to WPA3, instead they will expect you buy new equipment. How do you upgrade to WPA3? This upgrade will most likely require you to do something to activate it, when its released, this could be as simple as downloading a firmware update and will require some clients to re-authenticate to the network after the upgrade. How can PLAN A IT help? Skin Cancer Audit & Research Database (SCARD) Surgical Audit Project is a surgical log designed for doctors who treat skin malignancies. It has been designed to facilitate the easy recording of useful data at the time of treatment so that the treatment of skin cancers can be tracked. SCARD is provided free-of-charge for all users. Designed initially as a self-audit tool for primary care skin cancer practitioners, SCARD acts as a tracking tool to enhance practice safety, and it also creates practice performance reports. Pooling of de-identified data enables participating practitioners to confidentially compare their own practice to that of their peers. Additionally, this creates a large database with significant research potential, as SCARD records for every lesion de-identified practitioner and patient data, and extensive details of location, provisional and histological diagnosis, and the procedure(s) performed in its treatment. The data presented are being analysed for further studies, and additional data continues to be collected from this ongoing project. SCARD is a useful tool at practice level, and substantial uptake by Australian primary care skin cancer practitioners has provided a unique opportunity for research into skin cancer and its management. 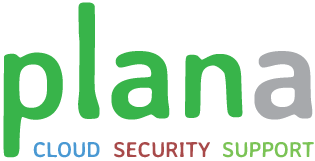 PLAN A IT is committed to the ongoing development of the SCARD project and is committed to supporting the almost 1000 practitioners accessing SCARD. If you’re a medical practitioner and do not have an existing SCARD account? Australian business owners need to recognize the importance of data security. IT companies are ready to assist business owners with all their data security needs. With the ever-growing threat of cyber-crime, it becomes more and more important to protect assets before they are compromised. Everyone needs to be installing multiple layers of security and backing up files to the cloud and offline, there’s no excuse for data and company security to be compromised in today’s modern and highly reactive security environment. Crime syndicates have moved into the cyber security realm. These hackers are extremely sophisticated and have the ability to hack your systems today. You also have to anticipate the threat from hacktivists, these are motivated individuals that attack companies for political agendas. One more common security threat to be aware of is corporate espionage and protecting data from disgruntled or opportunistic employees. The bad guys are arming themselves with the latest technologies to steal information, Don’t let them succeed! Why do I need to fill in a Survey to see if I can get Broadband? This is a question we get asked quite a lot so let me try to shed some light on it for you. BroadBand Now is fast broadband delivered by radio antennae (Fixed Wireless Network). This means our equipment needs to be able to see your house. To do so, it will need a direct line of sight to the antennae we install on the top of your house. Unfortunately, if you happen to live in a hilly area or if there are other obstacles in the way such as buildings or trees, we may not be able to see you. That is why we get you to fill in the survey, we want to check your address before we get your hopes up. The survey is completely obligation free. If you find out you can get our service but then decide against going through with it, we promise to part ways as good friends. We have been expanding our services right down the Northern New South Wales Coast specifically into Ballina, Byron Bay and Kingscliff. So with more of our antennae set up the more likely we will be able to see your home and get you onto the fast broadband you deserve. Are you Compliant with “Customs Act 1901” ? This act mandates that all owners and importers of goods must retain records for 5 years and be able to produce records as required. Penalties apply should you not comply. Are your records protected and archived for 5 years? If you are not absolutely certain you must read on. Back up all of your files both on-site and to a cloud backup. This must be monitored to ensure that the backups are working as they should. Make sure your computer operating system is up to date and has the latest security patches installed. What are your risks of losing files / data? From my experience, most files/data are lost through accidental deletion or deliberate deletion by a disgruntled employee. The second most common cause is hardware failures. Acts of god. Floods etc. Ransom-Ware is on the rise and becoming a more serious risk by the day. The latest “WanaCry” attack affected more than 200,000 computers in the first 3 days. If you are not taking your security and backups seriously, it is only a matter of time before you will probably get affected.